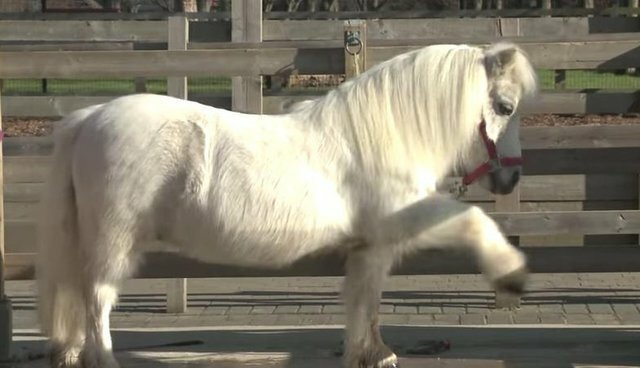 When you're a 3-foot-tall pony, a life built for taller horses can be rough. 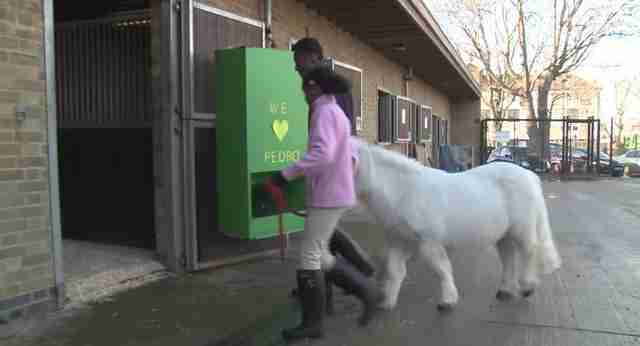 Pedro, a 14-year-old Shetland pony, knows the feeling. 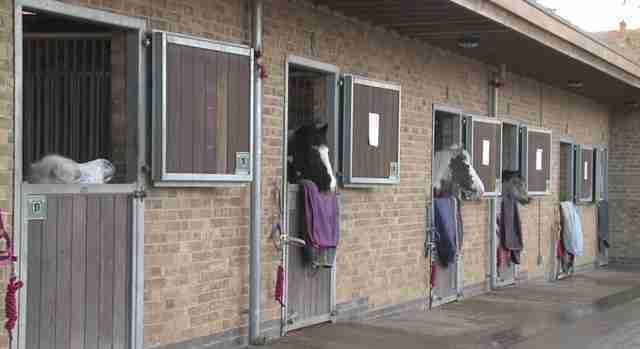 He's a newcomer to the Ebony Horse Club, a mentor program in London that teaches kids equestrian skills. They want to make him "happy and accepted," said Martina Burrell, a volunteer and parent of one of the children in the club, in a YouTube video about Pedro. "We think animals are stupid, but they're really not," she said. "Poor Pedro's stuck in there, going, 'What's going on with the rest of the world? And I can't see nothing!'" Pedro, luckily, has a group of creative chums - the kids in the club - who came to his aid. Their whimsical proposals included high heels and a balloon harness, but the design that became a reality was a touch more practical and less Narnian: a pony periscope. After hearing about Pedro's plight, a local 3-D printing firm volunteered to craft the device for free. Pedro peers into a mirror at the bottom of the scope, which reflects the view from the top. Club riding instructor Sorrel Docherty said in a press release that she loves the periscope, but she's not sure Pedro will get the hang of it. The organization is hoping to channel the buzz about the periscope into donations for a stable closer to Pedro's size.